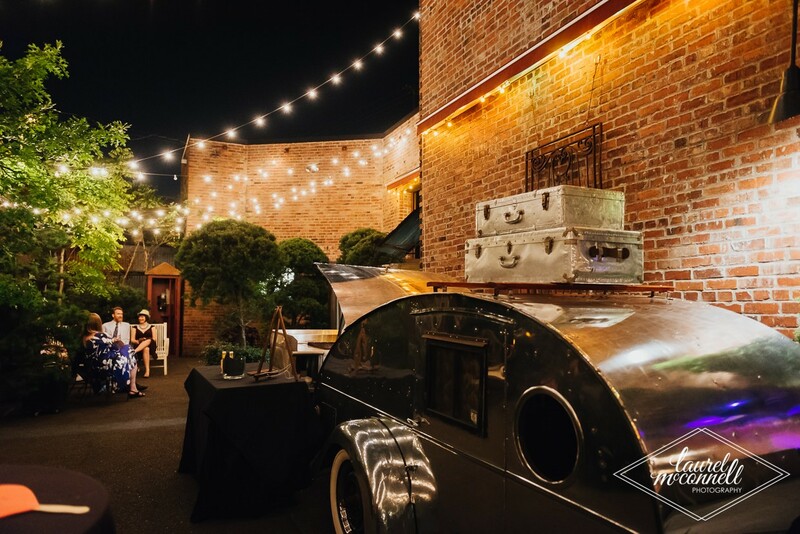 We offer you all the contemporary comforts of a full-service venue in a setting filled with vintage elegance and style: high ceilings, exposed brickwork and carefully curated architectural artifacts. 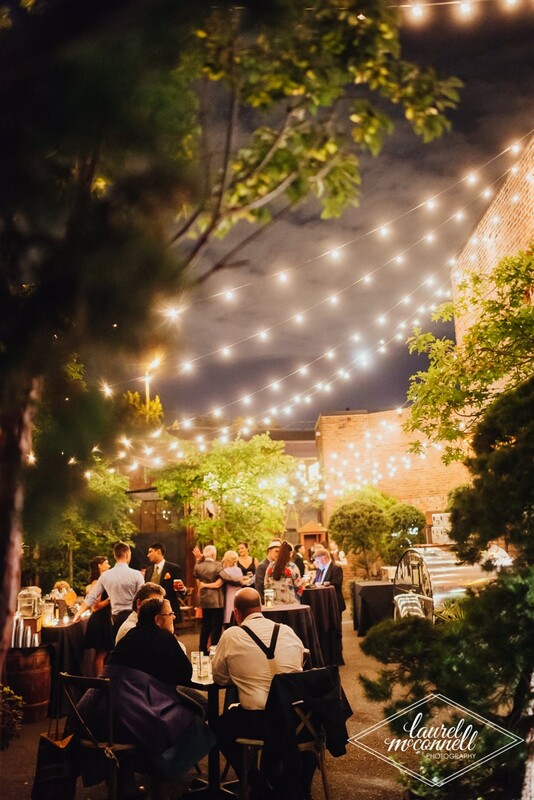 Welcoming for up to 300 guests, our versatile floor plan includes two adjoining spaces, two mezzanines, stage, grand staircase plus a private, tree filled outdoor courtyard. In a nutshell, The Georgetown Ballroom was perfect. The staff was amazing, I couldn't be happier with the way our wedding went. The space: It is so unique, the only way I can think to describe it is, Art Deco meets industrial Seattle. The space is formerly the mission theater. With two spaces, the main theater is the dining/reception space and the ceremony/dancing is through a large arch. There are two large rooms but you never feel separated from anyone. You have high ceilings with skylights (that they can close if you'd wish). 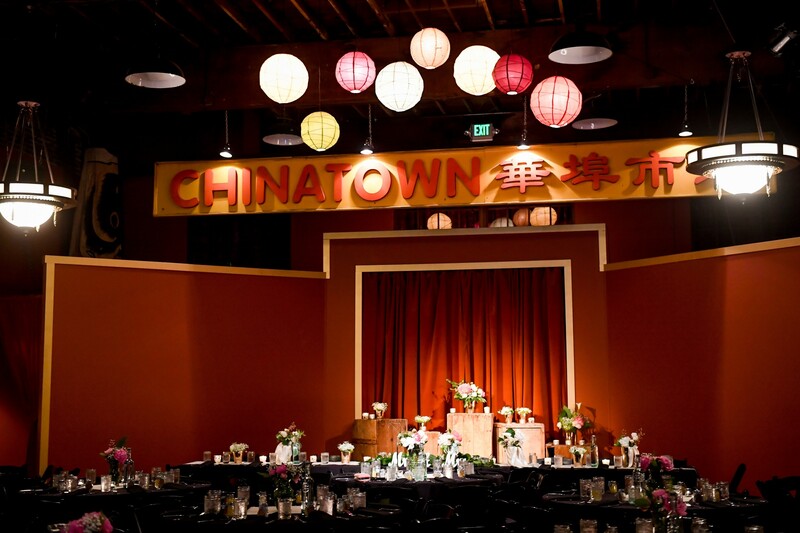 Authentic Chinese lanterns, vintage decor & signs, and lots of exposed brick. There is court yard with Edison lights and trees as well. 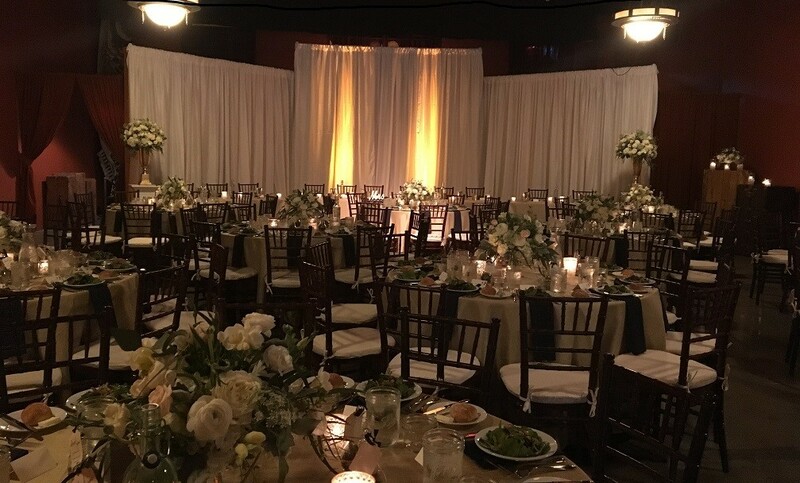 The venue space really speaks for itself, I kept my centerpieces minimal and didn't need to do any additional decorating. They have their own wired in sound system, which is helpful when looking for a DJ. They have a bar in each space. Food/Drinks: They have their own in house chef and order their own alcohol. When it came to drinks they had several package options available or we were able to create something entirely unique. The best part was, they charge based on usage. We didn't have to guess how many bottles of wine or kegs to order and end up with a ton left over. My husband doesn't drink, but they made sure to have his favorite beverage (glass bottle cokes) available for him all night! THE FOOD-- it was to die for, first of all they have almost every menu option you can think of. You can do a buffet style reception (which we opted for), you can do a plated meal for a more formal feel, or even appetizers. You can pick from their menu or they have several Prix-fixed options to choose from. At our tasting they worked closely with us to develop a menu that made both the foodie and the budget happy. We had an amazing skirt steak and rosemary chicken buffet and saw several people sneak back for seconds! The Staff: The venue is beautiful, the food was amazing but what really made this experience for me as a bride, was the team. All they wanted was my day to be whatever I envisioned and it showed. I had two points of contact who met with me and responded to every one of my emails (I swear I probably sent them 500). They were extremely organized. Helped me shape a day of time line and they had all my vendor contact information so I didn't have to think about anything on my big day. On the day of, I felt like there was an entire team of genuinely nice people that were excited to be there to help with my day. They even walked through the space with me, had artistic suggestions to really make the few decor pieces I brought really shine. At the end of the night they helped us pack everything up so we can get home. Parking: They have two private lots behind the venue for parking, it accommodates ~60 cars plus street parking. This is a five star venue providing 5 star service. 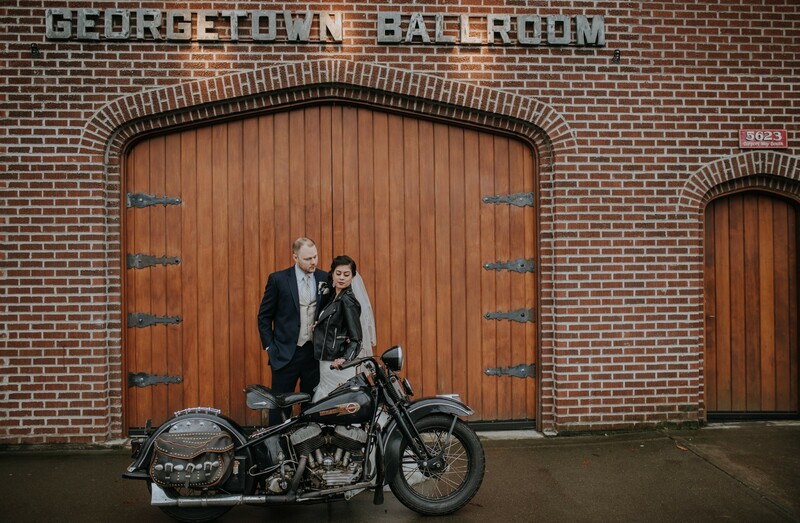 My husband and I agree that we couldn't have imagined our day being any more perfect, Thank you Georgetown Ballroom. 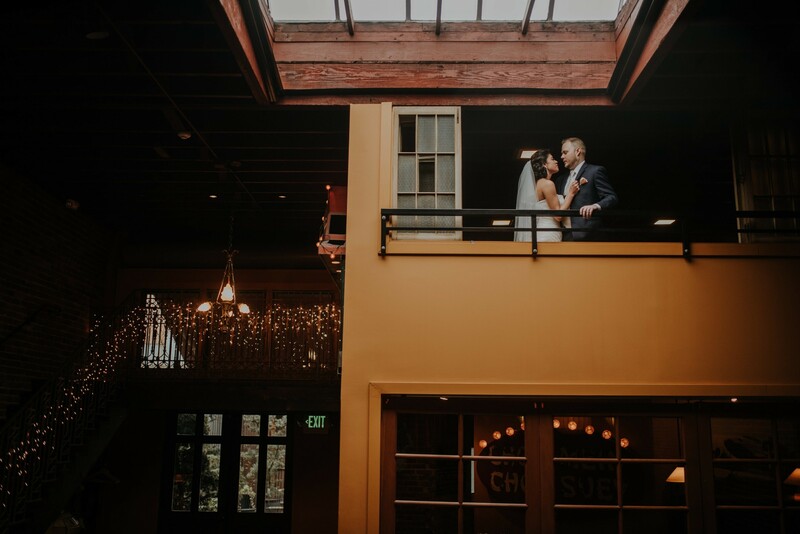 We couldn't be happier that we chose to have our wedding at Georgetown Ballroom! 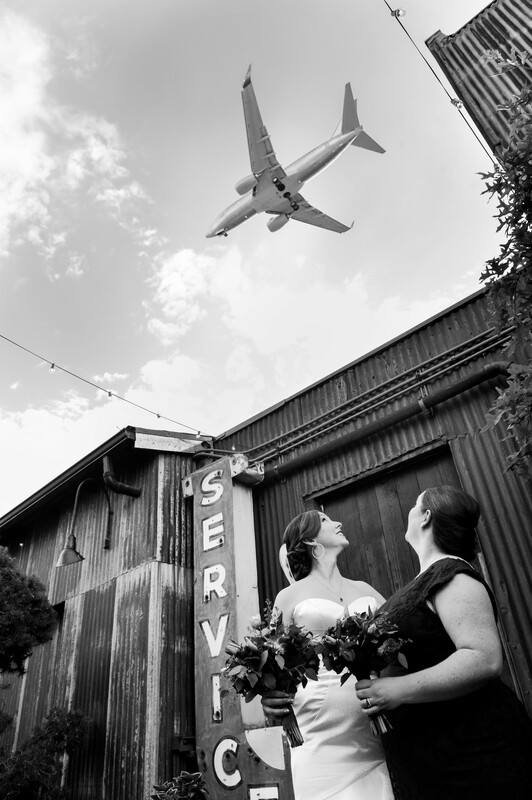 Our ultimate goal was to have a fun wedding and the Georgetown Ballroom venue delivered in spades on that goal. 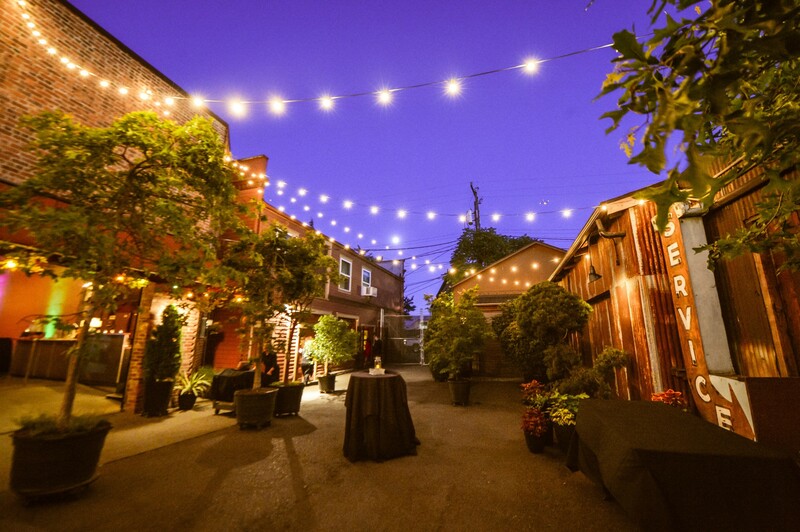 The event went so smoothly and we received tons of compliments from our guests on how much they loved the venue. It really is a great place with room to eat, dance, and take a breather outside. Danielle was immensely helpful throughout the planning process and helped me think through all the details that I would have never thought of on my own. She was also super responsive throughout the process with every question I had. The staff was friendly and helpful the evening of and our event went off without a hitch - Chris and I couldn't be more grateful! 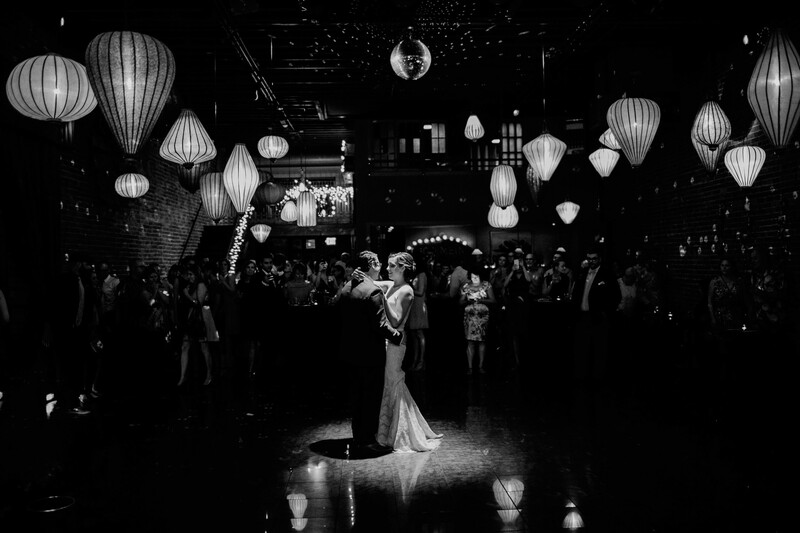 Danielle and the entire staff at Georgetown Ballroom were amazing. It was effortless planning from start to finish. There was clear communication and quick responses to questions throughout the process. The day of our wedding was amazing. Georgetown did a great job communicating with our stage managers and all of our vendors. The food was fantastic and our guests (which included a large number of stage managers and live event professionals) were very impressed with the venue. I'd highly recommend Georgetown Ballroom for any wedding or event. These folks really have their act together! 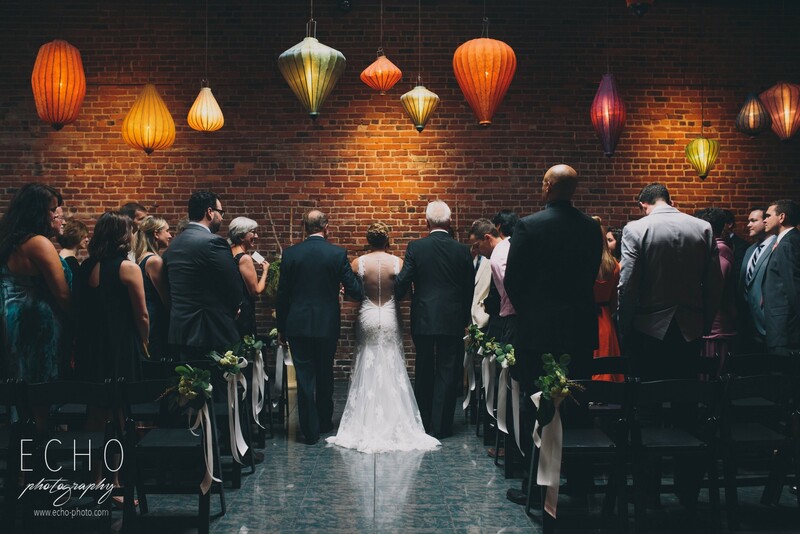 We were so lucky to have our reception at Georgetown Ballroom. Every detail was absolutely perfect. Susie was so great to work with and she saw every detail through from start to finish. The food was incredible and still, a month later, have guests commenting on how delicious it was. I will be referring any bride and groom I meet looking for a venue to Georgetown Ballroom!! 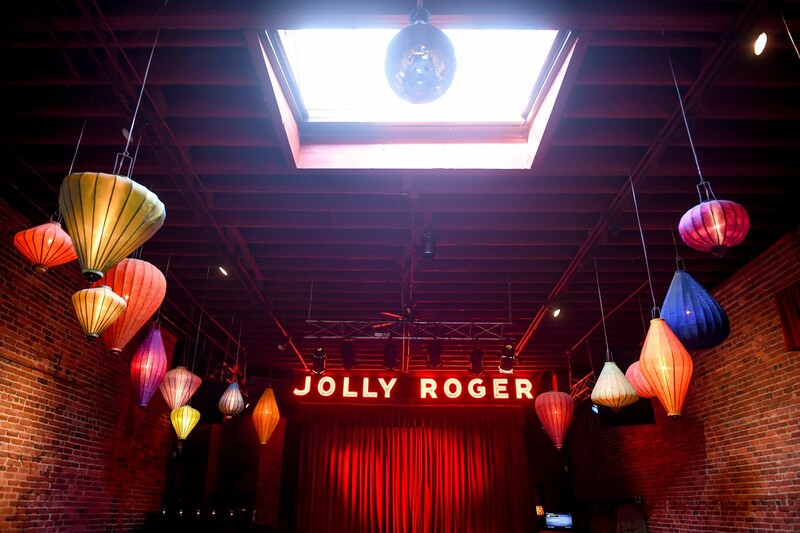 An amazing space with a great industrial atmosphere, groovy lighting, and the best food you've ever tasted (seriously). My husband and I were married here and it was absolutely perfect. Susie was our main contact throughout the planning and she was very attentive to detail, offered suggestions throughout the process, and made it extremely stress-free. The only outside vendor we needed was our photographer. Seriously, that's it. If you want a DJ you'll have to provide that, but we hooked up an iPad with Spotify playlists on it and it was perfect. 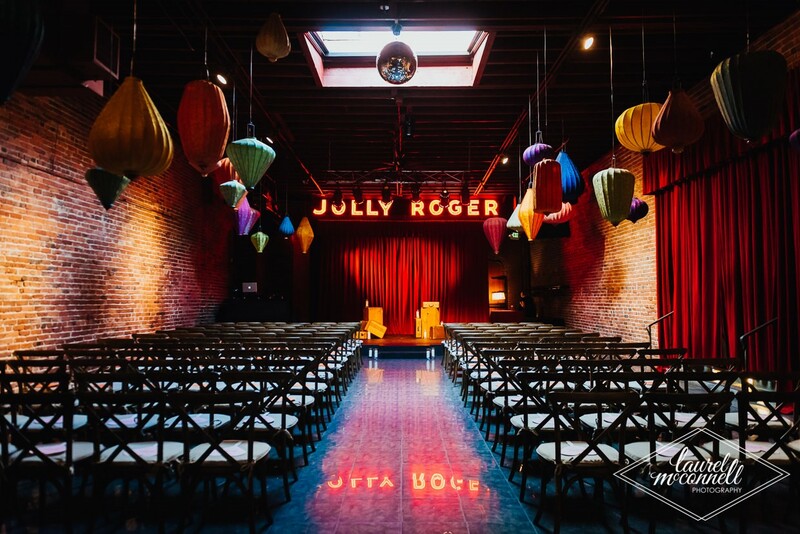 There is a stage for dancing/singing, a ballroom floor for dancing, a courtyard for mingling (and also where we had our ceremony), and "the mission" where dinner was served. 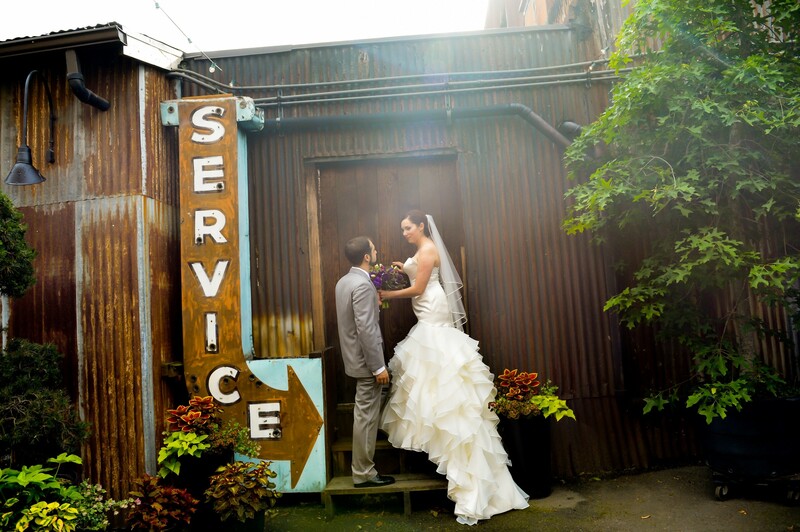 Opt for the food stations; you will not be disappointed! I can't speak highly enough of this space. For whatever needs you have (but especially a wedding!) 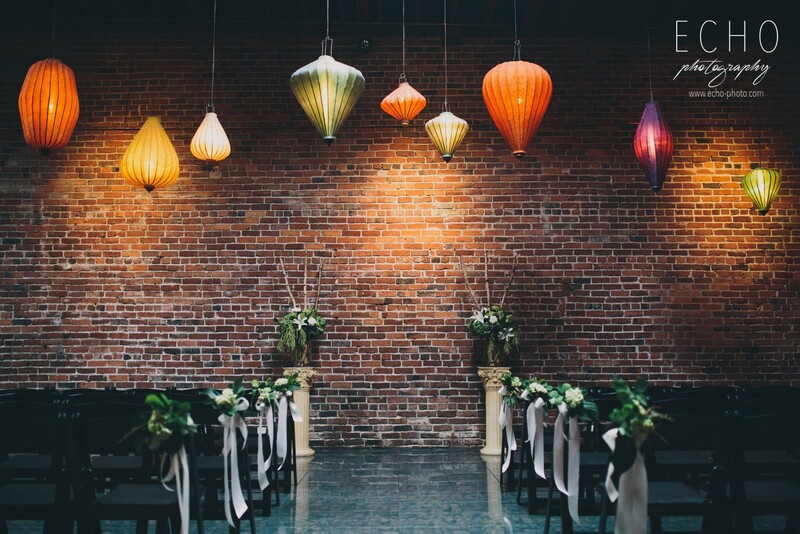 I recommend Georgetown Ballroom 100%.